The hubs and I fell crazy in love with this biscuit called Speculoos when we came to Belgium and have been eating it practically everyday ever since. Our favourite way to eat it is to dip it in hot coffee and the cookie basically crumbles in your mouth. One day the hubs demanded for more Speculoos; he pretty much challenged me to use the cookies to make the tart base for an apple tart. Of course I had to rise to the challenge! 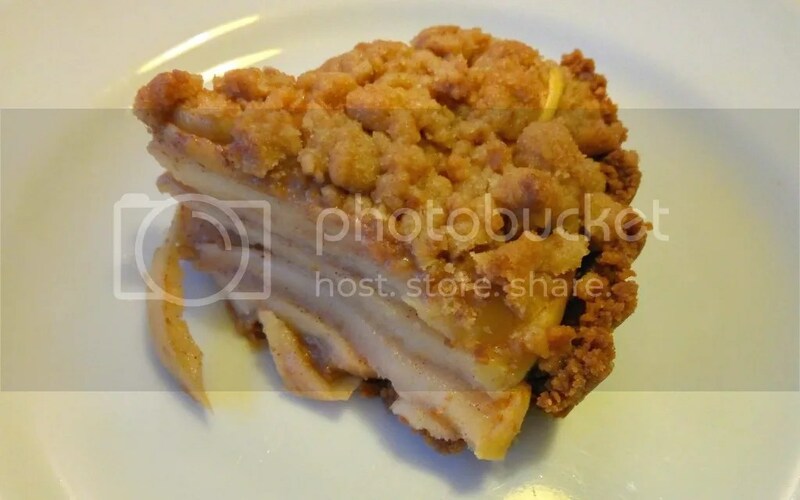 After hours of scouring the internet for a really good Speculoos apple tart and couldn’t find any, I decided to whip up one of my own! I have to say, it was crazy delicious! The hubs is full of praises for it and declares that we definitely have to ‘make a repeat performance’! I’d say, this post is as much to share the recipe as it is for myself to remember the recipe because it really was a sudden brilliant moment which I don’t get often when it comes to cooking. 1. Put the biscuits in a freezer bag and roll over it with a rolling pin to crush it finely. 2. Melt butter in a small saucepan. 3. Mix the butter and the speculoos together in a blender or by hand. 4. Spread the mixture in a greased and floured tart pan with a removable bottom. 5. Really press down with your hands to mold the base. 6. Leave to cool and set in the fridge. 1. Peel, core and slice the apples into 1/2cm slices. 2. Melt butter in a large pan over medium heat. 3. Stir in sugar and ground cinnamon. Add the orange juice if you want. 4. Add apple slices and saute until just softened (about 5minutes). 5. Remove from heat and cool slightly. 1. Crush the biscuits with same method as tart base. 2. In a small bowl, add crushed biscuits, and the rest of the ingredients. 3. Use finger to rub it all together until it is kind of crumbly or resembles breadcrumbs. 1. Take out the tart base you’ve made. 2. Arrange the apple slices in concentric circles. 3. 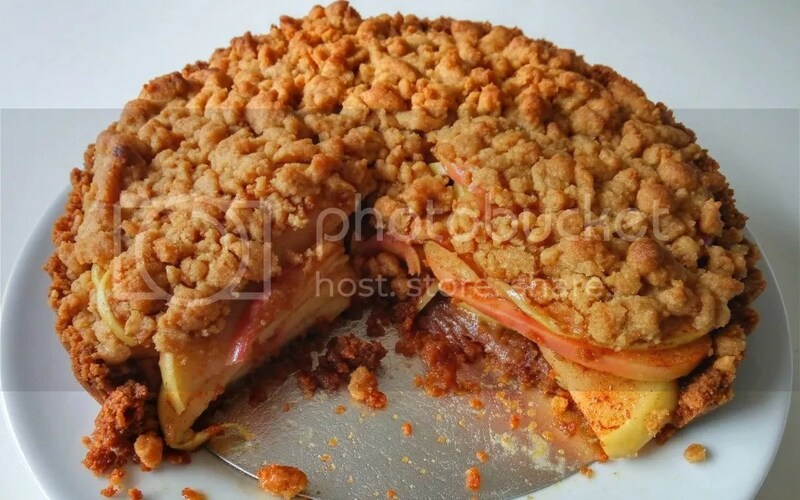 Sprinkle the crumble mixture over the apples until it practically covers the whole tart. 4. 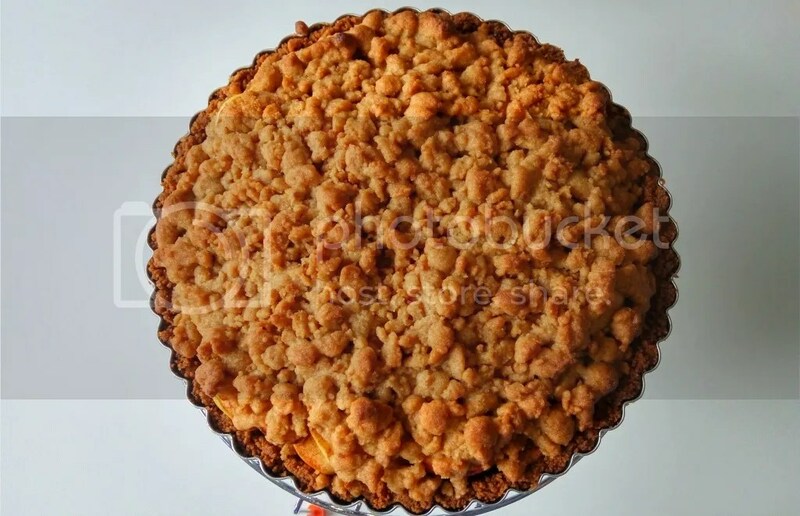 Bake in the oven at 180°C for 25minutes or until the crumble is a golden brown colour. I felt like baking another one while I was typing this up! It was really awesome!! There are a few things that we thought could be improved. The base – I didn’t press down hard enough so it crumbles easily but I think it can be fixed by making sure that it’s molded down well. The apple slices have to be cooked a little softer for a more melt in your mouth apple tart but the timing for that depends on the type of apples – we just bought whatever was available at our Sunday market and it certainly didn’t have any of the usual names. If you guys decide to give this recipe a try, please do give a shout out on how you feel! Next What’s in my Makeup Bag for a Roadtrip?